Part of the reason I had hoped to review Drew Dyck’s latest book before its publication is that there is so little available in the Christian market dealing with self-control. It’s one of the nine ‘Fruit of the Spirit,’ so why isn’t more being said? I had my only-ever audio-book experience this summer with Walter Mischel’s The Marshmallow Test, which looks at self-control in general and delayed gratification in particular through the lens of a study done on preschool children you may have seen on YouTube. But there was no Christian bookstore equivalent. Then, mysteriously the book arrived in the mail about ten days ago. Better late than never. In this case, much better. 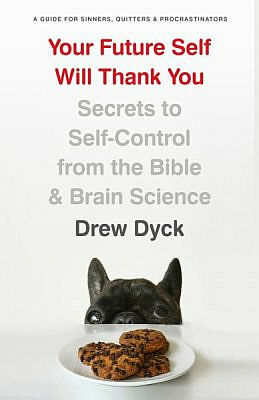 Your Future Self Will Thank You: Secrets to Self-Control from the Bible and Brain Science (Moody Publishing, 2019, paperback) ranks as one of the best-researched and one of the most-transparent books I have read in a long time. I’ve already looked at parts of it twice. I’m not saying this because I frequently interact with Drew online. As the disclaimer goes, we’ve never met in person, but I’ll reference him here by his first name, given we have some familiarity. The book is a mix of spiritual practices and just plain practical advice on how we can bring our lifestyle under both our control and God’s control. A few days ago, as a precursor to this review, I excerpted a passage from the book dealing with the difference between ‘resumé virtues’ and ‘eulogy virtues.’ If you missed that, take a minute now to read it. (We’ll wait here for you.) That one really left me thinking. As we assess character, could we be using the wrong metrics? We need to guard against passivity and exert effort. On the other hand, we must draw on God’s power to live the Christian life. Fudging on either commitment will stall our spiritual growth. Discounting our role in sanctification leads to license. Ignoring God’s role leads to legalism. The Bible is crammed with passages showing both the divine and the human role in sanctification. Consider this passage from Romans: “if by the Spirit, you put to death the misdeeds of the body, you will live” (8:13). Note the dual roles represented in this verse. Who is the active agent here? Well, “you put to death the misdeeds of the body.” Does that mean God isn’t involved? Not at all! The passage is equally clear that this crucial act of killing sin only happens “by the Spirit.” We need the Spirit to eradicate sin in our lives. In 2 Peter 1:3 we see the same pattern: “His divine power has given us everything we need for a godly life through our knowledge of him who called us by his own glory and goodness.” At first blush, it appears we are mere passengers on the train to holiness. After all, God has provided the power…what’s left for us to do? A lot, apparently. The passage goes on to command us, “For this very reason, make every effort to add to your faith goodness; and to goodness, knowledge; and to knowledge self-control.” Did you catch that? We’re commanded to “make every effort” because “His divine power has given us everything we need for a godly life.” For Peter, divine empowerment and human effort aren’t enemies. They’re allies. God has given us His power. That’s why we strive. In Philippians 2:12 we’re commanded to “work out your salvation with fear and trembling.” That language clearly shows the requirement of human effort. But the very next verse reminds us of who is really effecting the change: “for it is God who works in you to will and to act in order to fulfill his good purpose” (2:13). Finally, Drew gets very transparent. There’s a danger in writing a book like this which both humorous and conversational that the entire treatment becomes subjective. The author is sharing his own journey on the road to self-control and at the end of the day, you’re left with his story, rather than practical help. There are some personal family stories represented here, however this book solves the greater dilemma, by confining Drew’s own self-control story into nine concise diary entries he calls, “Self-Control Training.” Think of it as defining, albeit anecdotally, how all this plays out in real life; where the rubber meets the road. Drew isn’t perfect — neither are you and I — but as you compare his initial miserable lack of progress with your own, or my own; it becomes clear that it takes many different spiritual disciplines working together to bring about change. To that end, I believe this is one of a much smaller subset of books on my shelves with the potential to genuinely change the direction of a person’s life. Their future selves will thank them for having read it earlier on. 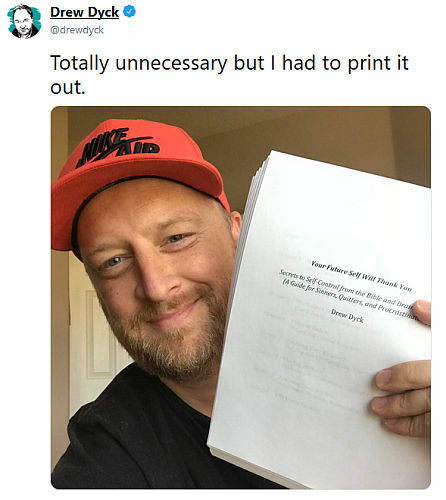 Drew Dyck, holding an early print edition of Your Future Self Will Thank You seen here looking for a very large stapler. ■ Listen to Drew Dyck talk more about the book in a recent Church Leaders podcast. 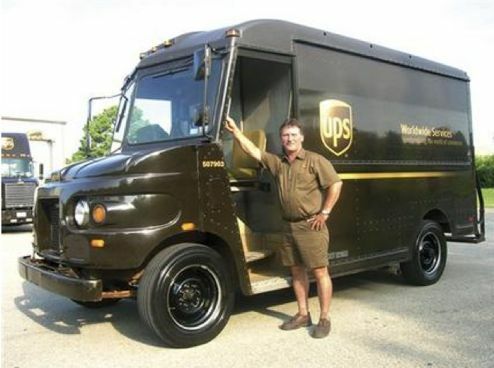 ■ Connect with Drew’s website and sign up for his newsletter at DrewDyck.com or read more at his blog. Deliverance Ministry: Specialty Calling or a Work for all Believers? A few days ago, I was asked this question and decided to answer by email. 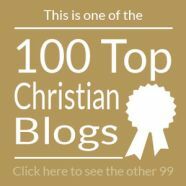 Then, I figured it would make a good blog post at Christianity 201. Because I put a fair bit of work into it, I decided to share it here as well. This is a topic which, outside of Charismatic and Pentecostal environments, is not discussed among Evangelicals. The issue is whether or not ‘the average Christian’ when in a situation of spiritual confrontation can move in the power of the Holy Spirit, or if they need to retreat and defer to ‘the experts’ in this area of ministry. An analogy to the movie Ghostbusters, while rather distracting, is not entirely out of place here. 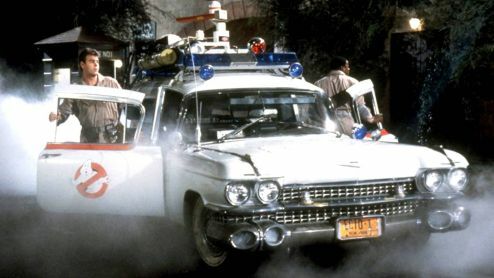 Who are you gonna call? Before we begin, an important question to ask is, ‘Does the person seek healing and deliverance?’ If the person who needs Christ doesn’t particular want Christ’s help — and I’ve met people on both sides of this equation — then you’re possible going to proceed differently. The difference between deliverance and spiritual warfare is that deliverance is dealing with demonic bondages, and getting a person set free, whereas spiritual warfare is resisting, overcoming and defeating the enemy’s lies (in the form of deception, temptations and accusations) that he sends our way. Deliverance involves the breaking up of legal grounds, the tearing down of strongholds (offensive spiritual warfare), and the casting out of demons. Spiritual warfare on the other hand, is dealing with three key things the enemy sends at us: temptations, deception and accusations. So we need to keep that distinction in mind as we proceed. These miraculous signs will accompany those who believe: They will cast out demons in my name, and they will speak in new languages. You have the authority. So why have we relegated deliverance ministry to being a the purview of a very select few? 29 Jesus replied, “This kind can be cast out only by prayer. The disciples, we know, did not as yet fast (Matthew 9:14-15), and the facts imply that they had been weak and remiss in prayer. The words are noticeable as testifying to the real ground and motive for “fasting,” and to the gain for the higher life to be obtained, when it was accompanied by true prayer, by this act of conquest over the lower nature. 17 Jesus said, “You faithless and corrupt people! How long must I be with you? How long must I put up with you? Bring the boy here to me.” 18 Then Jesus rebuked the demon in the boy, and it left him. From that moment the boy was well. 20 “You don’t have enough faith,” Jesus told them. “I tell you the truth, if you had faith even as small as a mustard seed, you could say to this mountain, ‘Move from here to there,’ and it would move. Nothing would be impossible. Did we answer the question at the top of the page? I think the issue here is not the office or title of the person rebuking the evil spirits, but rather the preparation of the person entering into such a ministry. In other parts of the world, I’m told that demonic activity is much more acute; much more visible. People in those situations don’t need to be told what they’re dealing with, they see its effects. So the answer is both: It is a ministry that is the specialty of some pastors and Christian leaders, but it is also within the reach of any Christ-follower who has prepared themselves for the task. Do you want to take this on? It’s definitely worth remembering that the seventy-two were sent out in pairs. That might be a better way to apprentice in this type of ministry. There are some good resources online on this topic, be discerning as you search however, and recognize that there are differences of opinion on this issues from different theological traditions. Scriptures today were all NLT (just because) except where indicated. Today’s article is presented jointly at Thinking Out Loud and Christianity 201. …In a new television interview, Pope Francis said the common rendering of one line in [The Lord’s Prayer] — “lead us not into temptation” — was “not a good translation” from ancient texts. “Do not let us fall into temptation,” he suggested, might be better because God does not lead people into temptation; Satan does. Then followed some reactions, including Southern Baptist Rev. Al. Mohler, who not surprisingly was horrified. Then the article continued. “This is not a mere whim for Francis,” it added. Francis recently took the controversial step of changing church law to give local bishops’ conferences more authority over translations of the liturgy. He was responding, in part, to widespread discontent with English translations that were literally correct but awkward and unfamiliar for worshipers. The Catholic Church is unhappy with the line “lead us not into temptation” (mē eisenenkēs hēmas eis peirasmon) in the Lord’s Prayer (Matt. 6:13; Lk. 11:4). The problem is that it appears to attribute responsibility for a person falling into temptation to God. Pope Francis has said: “It’s not a good translation…. I am the one who falls. It’s not him pushing me into temptation to then see how I have fallen. A father doesn’t do that, a father helps you to get up immediately.” If anyone leads us into temptation, he suggests, it is Satan. So an alternative translation is being considered, something along the lines of “Do not let us enter into temptation”. What Jesus has in view is not general moral failure (the modern theological assumption) but the “testing” of the faith of his followers by persecution. The word peirasmos in this context refers to an “evil” or painful situation that tests the validity of a person’s faith. The Lord’s prayer is not a piece of routine liturgical supplication. It is an urgent missional prayer, best illustrated by the parable of the widow who prayed for justice against her adversary. Jesus concludes: “ And will not God give justice to his elect, who cry to him day and night? Will he delay long over them? I tell you, he will give justice to them speedily. Nevertheless, when the Son of Man comes, will he find faith on earth?” (Lk. 18:7–8). The petition not to be led into a time of testing has a very specific eschatological purpose—to keep suffering to a minimum. When it came, as it inevitably would, testing was the work of the devil, aided and abetted by sinful desires. But even then it had a positive value: it proved the genuineness of their faith, and if they passed the test, they would gain the crown of life, which is a reference to martyrdom and vindication at the parousia. It’s no secret to people who work in Christian publishing that over the past 40+ years, the number one bestselling Charismatic book title has been Pigs in the Parlor by Frank & Ida Mae Hammond. Published in 1973 by Impact Books, the book may be a few million short of making this list but is well-known among Pentecostals and Charismatics, but little known outside that circle. 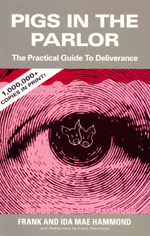 With the full title, Pigs in the Parlor: A Practical Guide to Deliverance, there are in fact only two small piglets on the cover, though the title always catches peoples’ attention. Through a series of circumstances, I attended a ‘deliverance’ church for two years in my early 20s and though I then moved on, I don’t in any way minimize that there are times when this type of ministry — along with seasoned practitioners of it — is what is called for. • Answers to commonly asked questions, and more. The Hammonds also present a categorized list of 53 Demonic Groupings, including various behavior patterns and addictions. Testimonies of deliverance are presented throughout the book including Pride, Witchcraft, Nervousness, Stubborness, Defiance, Mental Illness and more. Most readers here would quickly affirm that this simply isn’t their type of book, but I would challenge dismissing this genre too soon. I think it’s something most non-Charismatic and non-Pentecostal Christians need to at least be aware of; something more of us should have some basic familiarity with. On a more personal level, it was interesting a few years ago while working at a summer camp how the leadership, when faced with a situation of demonic possession, wasted no time in contacting a Pentecostal pastor who was known for this type of ministry. While it’s entirely possible that in the days leading up to the event some might have stated they don’t believe in the danger of the demonic realm, it was a whole different story when they were confronted with it directly. It’s also interesting to note here that manifestations of demonic activity are somewhat foreign to the experience of Christians in North America, but such is not the case in other parts of the world. We’re not waging war against enemies of flesh and blood alone. No, this fight is against tyrants, against authorities, against supernatural powers and demon princes that slither in the darkness of this world, and against wicked spiritual armies that lurk about in heavenly places. Pigs in the Parlor is a book with a funny title, but spiritual warfare is no laughing matter. I’ve previously written here about how we’re big fans of sermon audio when we travel, and as someone who works in a Christian bookstore environment, it’s a given that I’m a huge booster of Christian books and music. But today I want to approach this from a slightly different perspective. Many times I’ve written about the battle that goes on for our thought life, and how this takes place on a moment by moment basis. Back in June, I posted a great analysis of the types of thoughts, that are going on in our heads at any given point in time. I don’t spend a lot of time commuting, but I am increasingly aware of the contrast that exists between the mental processes that take place when I omit to turn on the radio — which is mostly presets for Christian stations — and drive in silence, versus the times I have worship songs playing. This is a giant contrast in my thoughts and attitude, not a mild difference. I frequently listen to sermons from Willow Creek, The Meeting House, Woodland Hills and North Point, in addition to live sermons at church, and the occasional streaming of conferences. Life was not always so. I can remember asking my parents why they had to constantly listen to more preacher programs. Their media of choice was WDCX, an FM station in Buffalo, and WHLD, a Buffalo AM outlet. Of course, my choice would have been Top 40 rock station 1050 CHUM in Toronto. I think that was the real issue. But today, although I hunger to learn and grow and discover more about Christ through what others have learned, I also am acutely aware of what happens in the absence of Christian media in the home. Bible teaching can come in other forms besides radio and television. 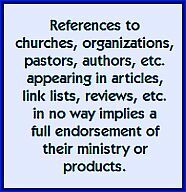 There are the aforementioned sermons-on-demand and live-streaming church services on the internet, plus many pastors often do a separate podcast. But there are still audio CDs of sermons kicking around, and of course books. One of my latest rants is that, in the average 21st Century family, I’m not sure the kids have ever seen dad sitting in a chair reading, and here I’m speaking of reading anything, a newspaper or magazine would suffice. How much more is it important to take time out and immerse yourself in the Bible, devotional material and study resources. If you missed it, I encourage you to read an article we did on Bill Hybels’ “Chair Time” concept. For some Christ-followers, the dominant form of uplifting, inspirational and wholesome media is Christian music; which may consist of hymns, mass choirs, southern gospel, adult contemporary, Christian rock in all its various genres, and the current favorite, modern worship. Again, these can be accessed in various forms. Some choose mp3 files which can be played back in the car and in the home. Many people are still buying music CDs. Christian music song videos abound on video sharing sites like YouTube. There is an abundance of Christian radio available online, and here in North America, most people live within range of a broadcast station that plays music, teaching or a mix of both. But I have to say that as a worship leader, nothing compares to the songs what you experience in a worship environment with your faith family. Even today, I hear a song and I’ll remember which church I was in when I heard it and who was leading worship that day. Or I’ll be reading a scripture and I’ll recognize the verse as a line from a worship lyric. If you happen to be blessed with a gift that allows you to play in the worship band, a particular song can get stuck in your head for hours, and in a good way. For a listing of some of my favorite songs with video, visit the sidebar in the right margin at Christianity 201. Our family was never a movie-culture family. We’ve been to the cineplex less than a dozen times, ever. But the production of Christian cinema has exploded over the last few years, and if you’re the type who enjoys gathering everyone around the home theater there are now some really decent films from which to choose, plus you’re supporting a genre that has tremendous outreach potential. You can purchase DVDs — great for loaning out after you’re done — or stream movies live. Several days ago I was introduced to someone who is a relatively new Christian. As she told a bit of her story, I felt led to share some things with her. This is not a new thing, I do this all the time; but in this situation, even as I was hearing myself speak, I sensed an extra measure of authority in my words which is not always there. As an added plus, although I often allude to various scriptures, I found myself quoting passages more verbatim than I normally would. It was a good discussion and I didn’t mind at all that it left me ten minutes late for our next appointment. It was just one of those moments — call it a spiritual warfare attack — where the burden of everything going on just seemed too much. …Okay, I realize this isn’t very redemptive, and it runs the opposite of most the Psalms you’ve read. If you read the Psalmist, you know that there is a lot of raw transparency there. But there is always resolution, a moment of ‘Then the Lord heard my cry’ (6:9; 18:6) or ‘Then the Lord answered me’ (34:4; 118:5). So it looks like I’ve got the parts in the wrong order, right? And God and I were never that far away from each other. I was just at a low point. And alone at home. And probably especially vulnerable to attack after the spiritual high of my earlier conversation. And things did even out after I was through with my spiritual rant. Back in October, we introduced a new writer at Christianity 201, Josh Ketchum who blogs at Life in the Kingdom. I thought I would share one of his recent posts here, as this seemed like a good way to help kick off a new year! 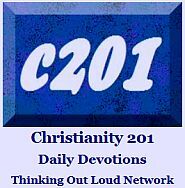 As we say almost every day at C201, click the title below to read this at source, and then take a few minutes to look around his blog. We make many assumptions as we go about our days. Most of these are not a big deal if they do not turn out as we have assumed. Our battery may be dead, our TV show may not have recorded as we intended, but we will live. But when it comes to assumptions in the spiritual realm there are much more serious ramifications. Our souls are at stake! The Jews of Jesus’ day assumed that since they were the descendants of Abraham they were acceptable to God. John and Jesus both try to blow apart this assumption, by teaching them their need to repent and enter the Kingdom of Christ (Luke 3:7-9; John 8:33-35). I am better than them. The Apostles of Jesus were guilty of this assumption. James and John wanted to bring fire down on the Samaritans, while Peter avoided table fellowship with Gentiles in the early church. The root problem is arrogance or pride. The sin we commit is one of partiality and turns people away from the message of Jesus, when we assume we are better then them! God wants me to be happy. Many view God as a personal genie seeking to grant their wishes. Our happiness is tied to our feelings and emotions, which are constantly changing depending on circumstances. God desires our obedience and holiness. He wants us to be a representation of Him in this dark world (Rom. 8:28; 1 Peter 1:14-19). God made me this way, He will not hold me accountable. This assumption is used as a rationalization or excuse for all types of sins. People say this about their temper, sexuality, drug addictions, and language. God created us pure (Ezekiel 28:15; Mat. 18:3). We sin when we are drawn away by our own desires and enticed (James 1:14-15). Jesus teaches us all to repent (Luke 13:3). No one will ever see or know. This assumption has been proved false over and over, yet Satan deceives people into believing they can partake in private sin and no one will know. Whether it is our online life, our perceived privacy on our phones, or activities on vacation at a distant place; we must remember our sins will find us out (Rom. 14:7; Nm. 32:23). I have plenty of time. This is a huge assumption, we all make on a regular basis. We assume we have plenty of time to teach our kids about Jesus. We have plenty of time to mend struggling relationships. We have plenty of time to get our soul right with the Lord. Yet the Bible teaches us differently (2 Cor. 6:2; 1 Peter 1:24; James 4:13-16). Our own experiences have shown this to be a false assumption as we have lost friends and family members suddenly. I am too young, or I am too old. At times both of these are valid and true, but they must not become excuses. In a society that is delaying adulthood, youth is used as an excuse to delay maturity and responsibility. On the other end of the perspective, we should never retire from the Lord, or think we do not have anything to contribute. Wisdom and age are esteemed in Scripture over physical prowess. Good people are saved. We are not the judge, but this false doctrine is widespread. This cheapens God’s grace, strips the blood of Christ of its power, and destroys the need to live a live of faithful obedience (Gal. 2:16; Eph. 2:8-10; James 2:14-26). This assumption must be corrected with a conviction in ones’ heart that they are lost without the saving gospel of Jesus (Rom. 1:16). What uncertain assumptions are you making?